Meet the first and only 420A Race Manifold! The product of a collaborative effort between SymTech Laboratories and Treadstone Performance Engineering, the 420A Race Manifold offers both uncompromising performance and unparalleled durability. The 420A Race Manifold features a unique design crafted using state of the art CAD techniques. Its design allows for large turbochargers, with room for equally large downpipes without sacrificing power steering or air conditioning! Its standard T3 flange can accept up to a Garrett GT3582R turbocharger, and its wastegate flange accepts most 38mm wastegates. Most importantly, its large runners, cast with special high-flow/low-friction walls, can support all of the power you can handle! 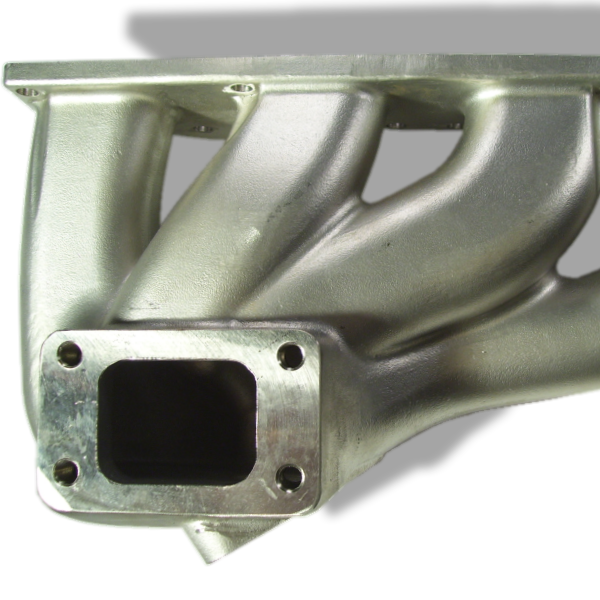 SymTech Labs/Treadstone manifolds are cast using the latest in turbocharger-manifold technology. 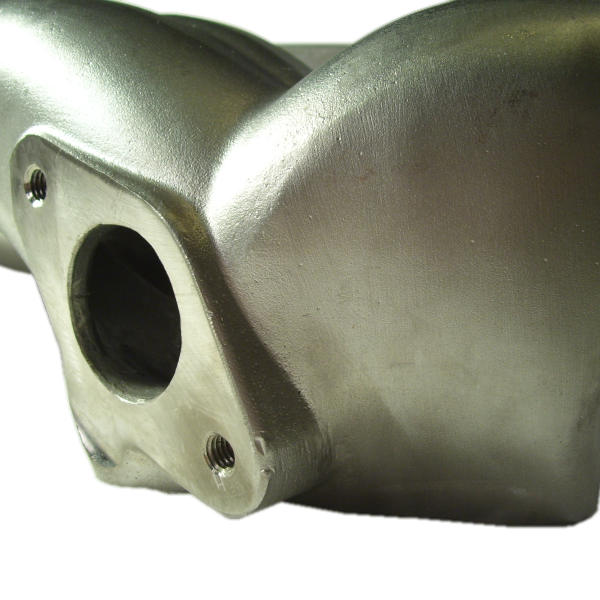 They benefit from an exclusive investment casting method and use bulletproof 347 stainless steel. The high thermal inertia and excellent heat retention of cast 347 stainless steel provides the turbocharger with as much thermal energy as possible. This effect raises the overall efficiency of the system and produces results superior to tubular/welded manifolds. Furthermore, 347 stainless steel is virtually impenetrable to rust and other forms of corrosion. All flanges and mating surfaces are precision machined for the perfect seal and added protection against leaks. 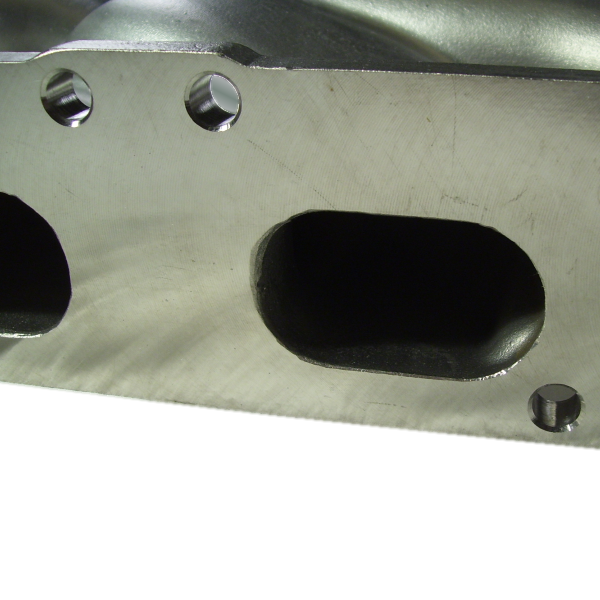 The 420A Race Manifold carries a lifetime warranty against cracking. Please note that the use of this manifold with large turbochargers may preclude the use of stock cooling fans.